I am a mother of 8 and wife to be of the most amazing man in this world. I'm new to blogging and find myself with more downtime than usual, why not utilize it and educate others while helping myself. As a beginner blogger i'm sharing family experiences, life events, educational topics including health, family and finances. This what your When Life Hands You Lemons... Blog Ad will look like to visitors! Of course you will want to use keywords and ad targeting to get the most out of your ad campaign! So purchase an ad space today before there all gone! 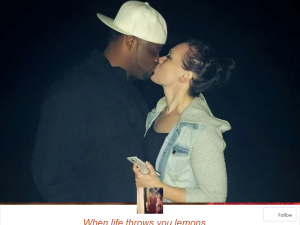 If you are the owner of When Life Hands You Lemons..., or someone who enjoys this blog why not upgrade it to a Featured Listing or Permanent Listing?